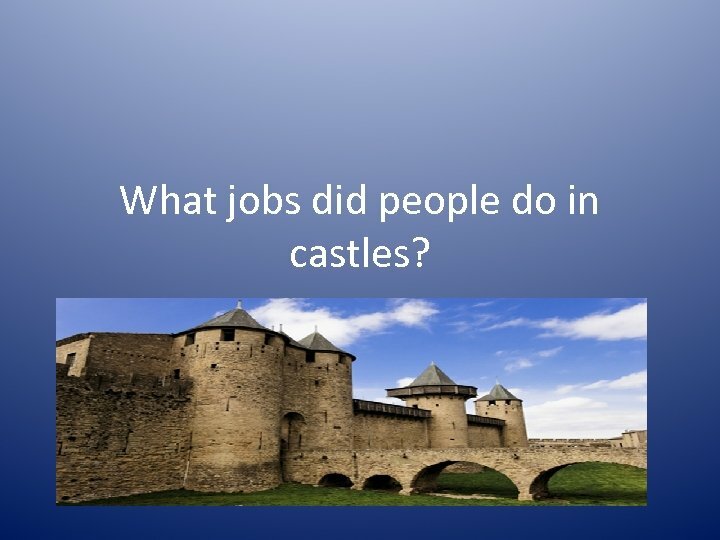 What jobs did people do in castles? 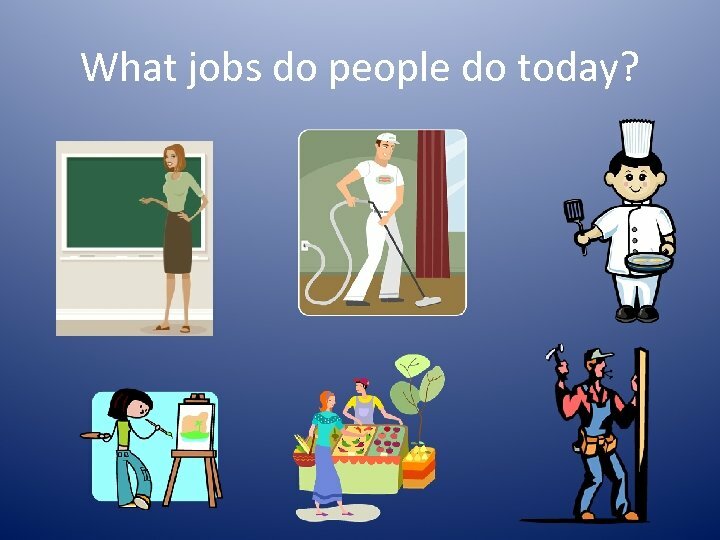 What jobs do people do today? Would these jobs have existed in castle times? Why? Why not? 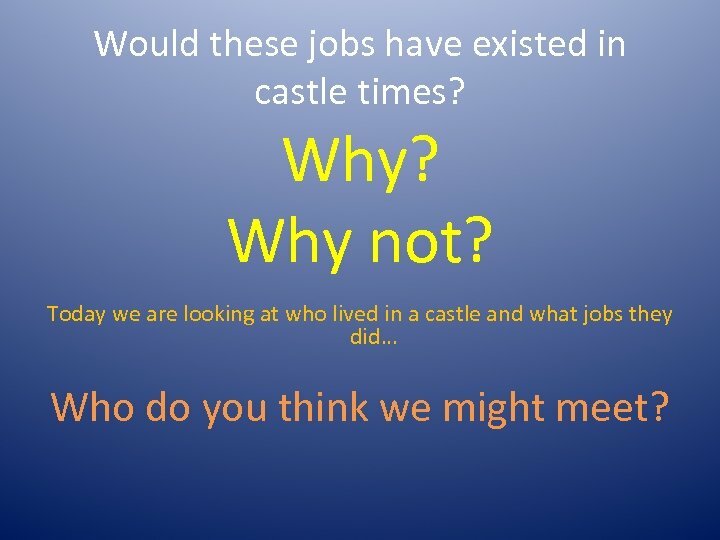 Today we are looking at who lived in a castle and what jobs they did… Who do you think we might meet? 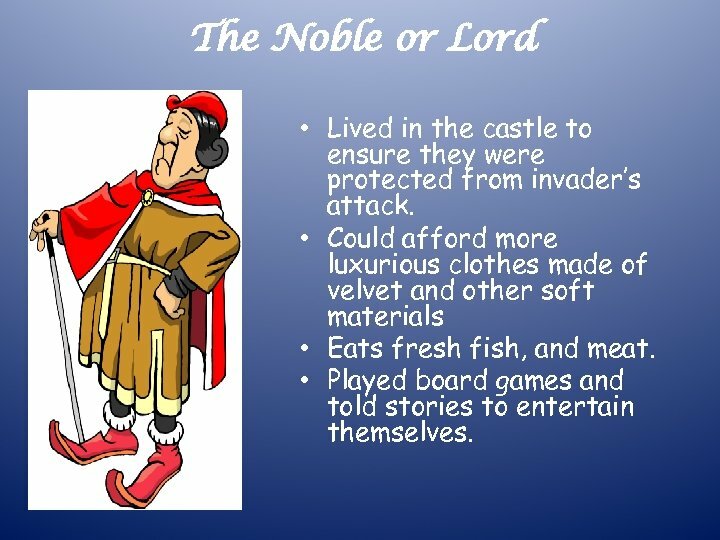 The Noble or Lord • Lived in the castle to ensure they were protected from invader’s attack. • Could afford more luxurious clothes made of velvet and other soft materials • Eats fresh fish, and meat. • Played board games and told stories to entertain themselves. 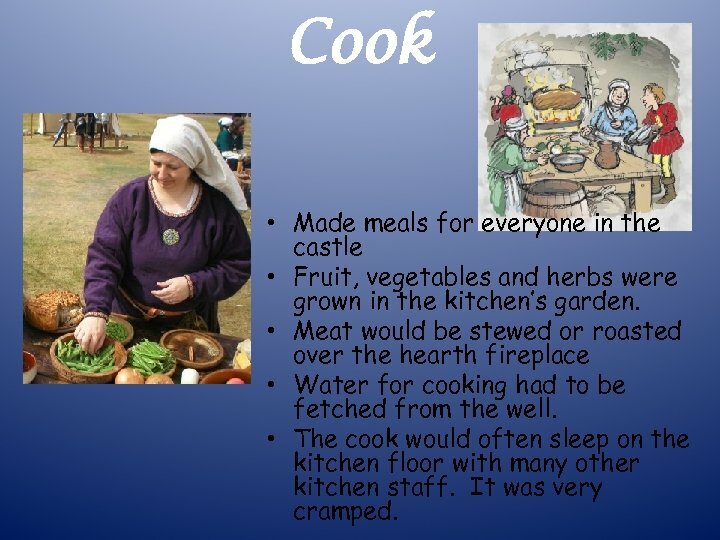 Cook • Made meals for everyone in the castle • Fruit, vegetables and herbs were grown in the kitchen’s garden. • Meat would be stewed or roasted over the hearth fireplace • Water for cooking had to be fetched from the well. • The cook would often sleep on the kitchen floor with many other kitchen staff. It was very cramped. 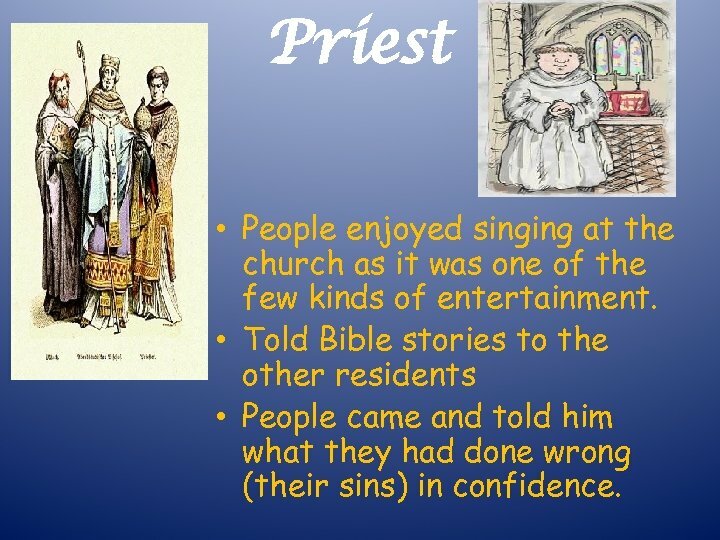 Priest • People enjoyed singing at the church as it was one of the few kinds of entertainment. • Told Bible stories to the other residents • People came and told him what they had done wrong (their sins) in confidence. 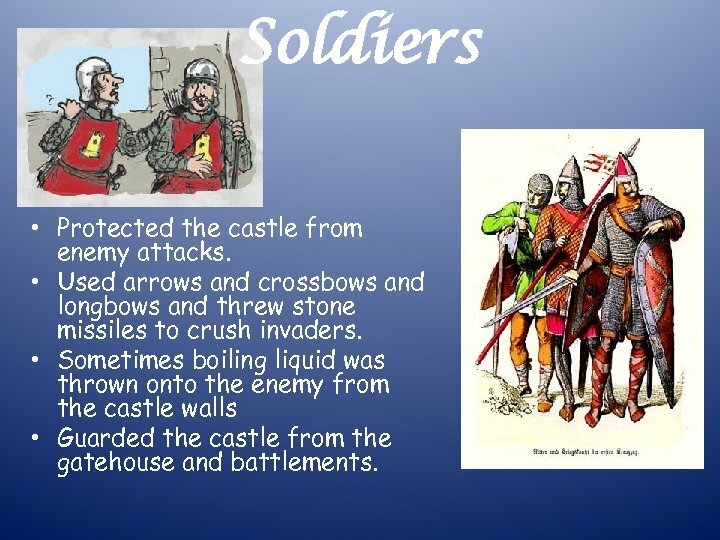 Soldiers • Protected the castle from enemy attacks. • Used arrows and crossbows and longbows and threw stone missiles to crush invaders. • Sometimes boiling liquid was thrown onto the enemy from the castle walls • Guarded the castle from the gatehouse and battlements. 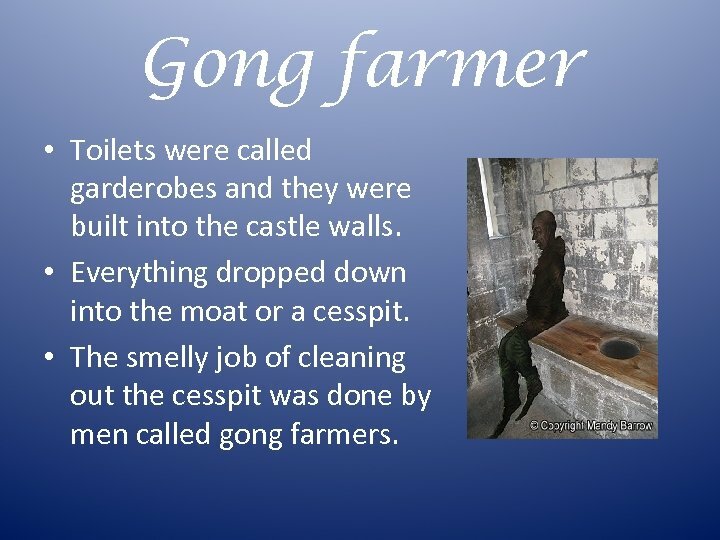 Gong farmer • Toilets were called garderobes and they were built into the castle walls. • Everything dropped down into the moat or a cesspit. • The smelly job of cleaning out the cesspit was done by men called gong farmers. Knight • Knights were skilled horsemen and excellent soldiers. They fought for kings and Lords. • The noblemen paid the knights with land. 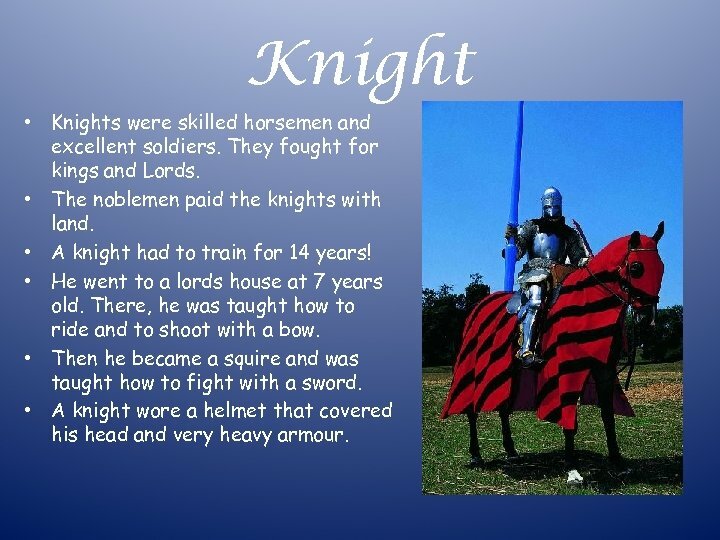 • A knight had to train for 14 years! • He went to a lords house at 7 years old. There, he was taught how to ride and to shoot with a bow. • Then he became a squire and was taught how to fight with a sword. • A knight wore a helmet that covered his head and very heavy armour. Servant s • Servants had to sleep on the cold, stone floors. • They had to heat the water for the baths over huge fires! • There were lots of servants and they all had different jobs to do: • Sewing, laundry, for the knights, nurses who looked after the young children of the Lord and Lady. 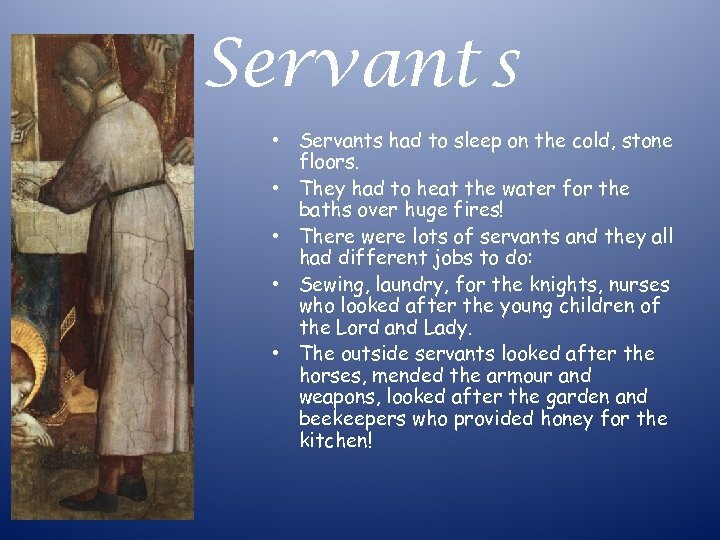 • The outside servants looked after the horses, mended the armour and weapons, looked after the garden and beekeepers who provided honey for the kitchen!